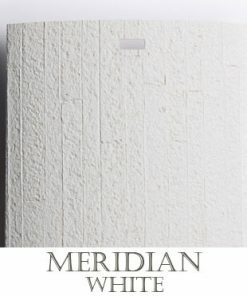 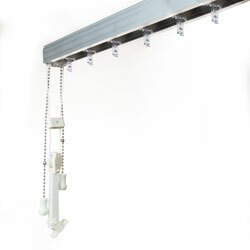 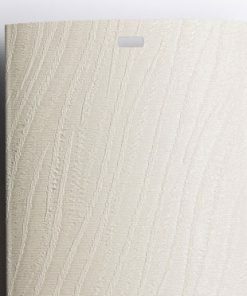 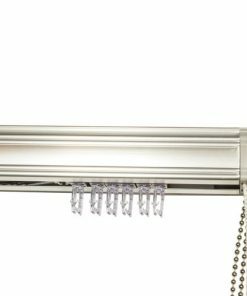 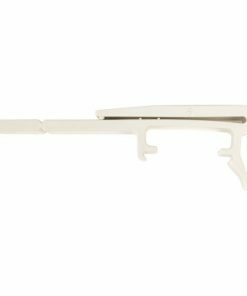 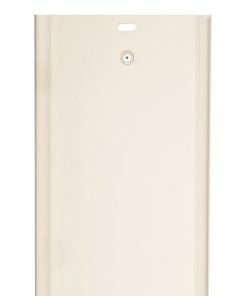 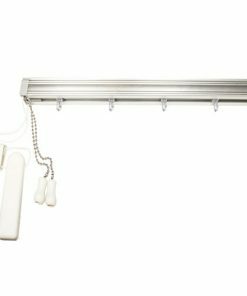 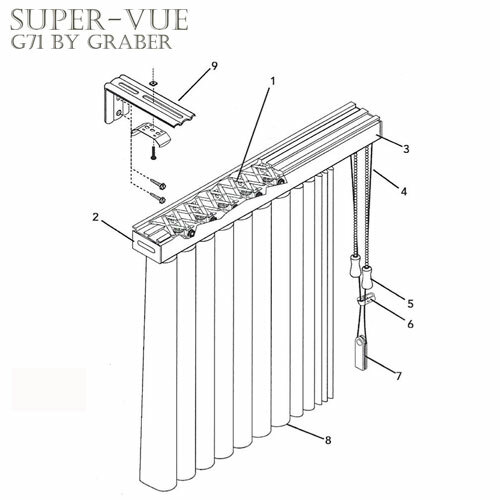 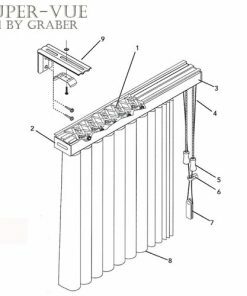 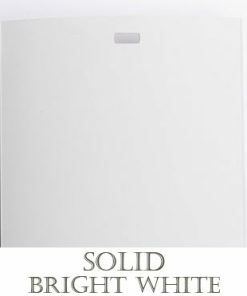 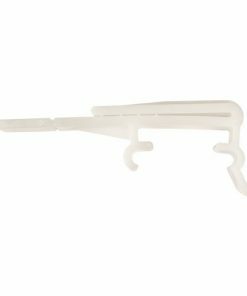 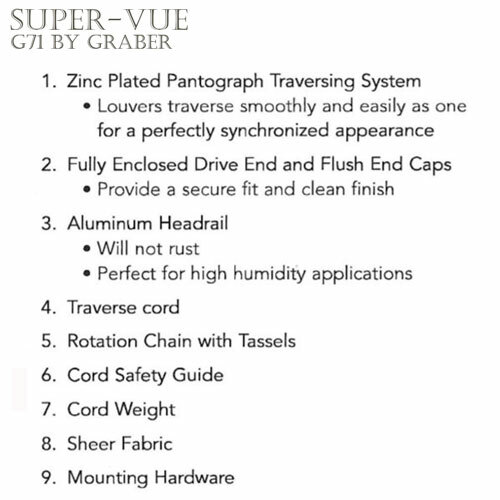 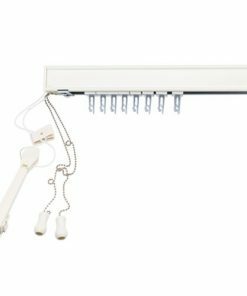 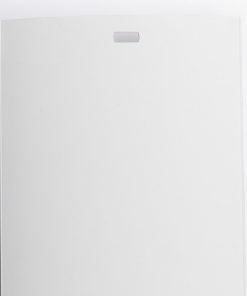 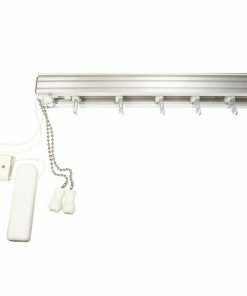 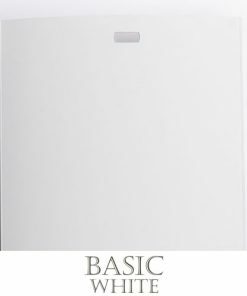 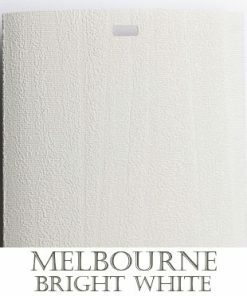 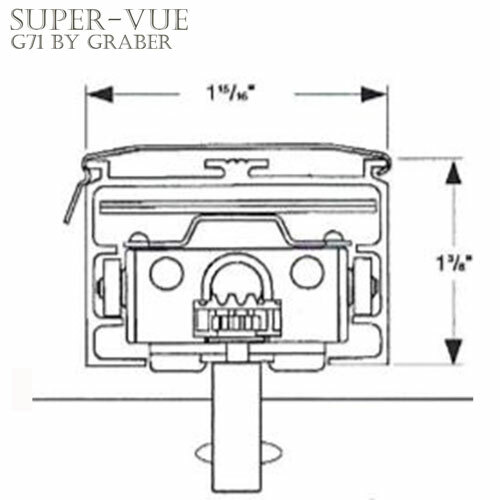 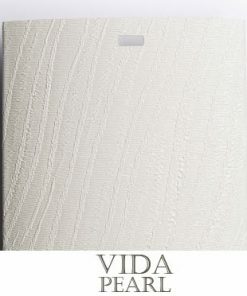 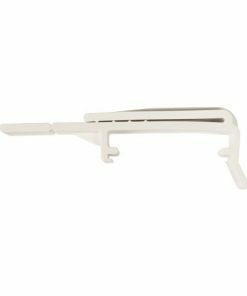 Graber G-71 Super-Vue Vertical Blind Headrail. 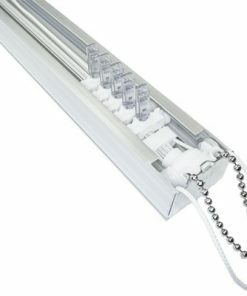 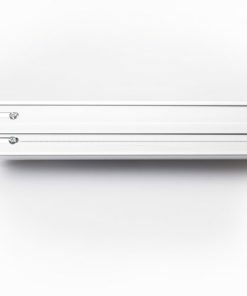 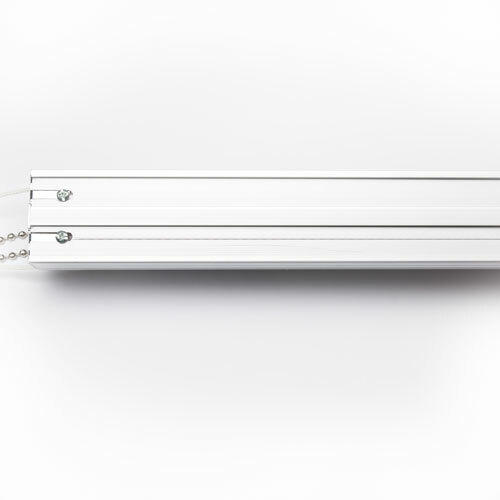 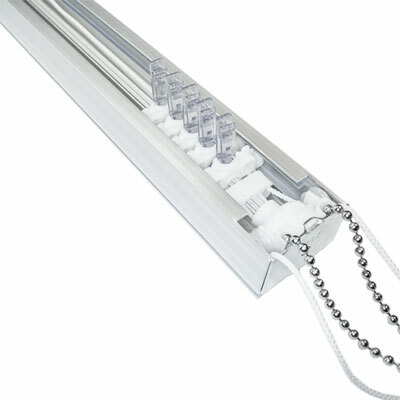 Extruded aluminum headrail track measuring 1 15/16″ D x 1 3/8″ H.
Clear, non-yellowing, UV stabilized vane carrier stems that are replaceable if needed. 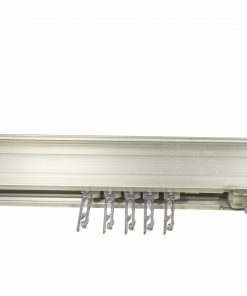 Steel scissor-track traversing system for uniform vane spacing. 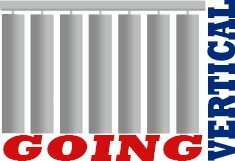 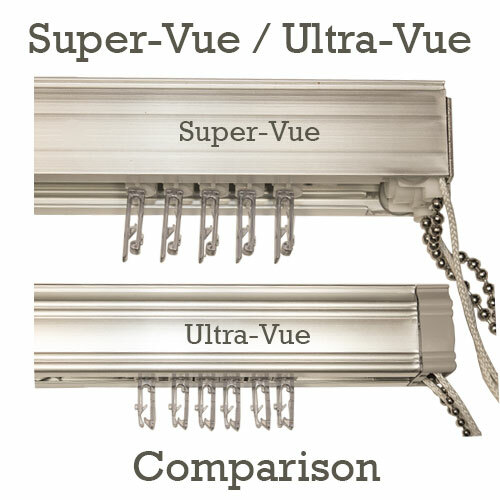 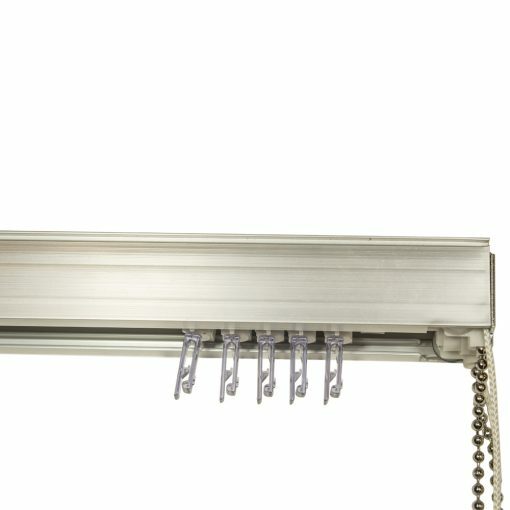 E-Z Open automatic rotation minimizes cord and chain confusion by automatically opening vanes before traversing. 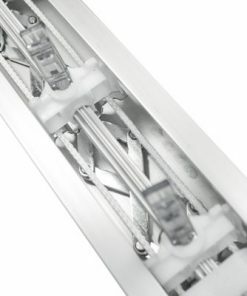 Rack and pinion gear system allows vanes to rotate smoothly and easily. 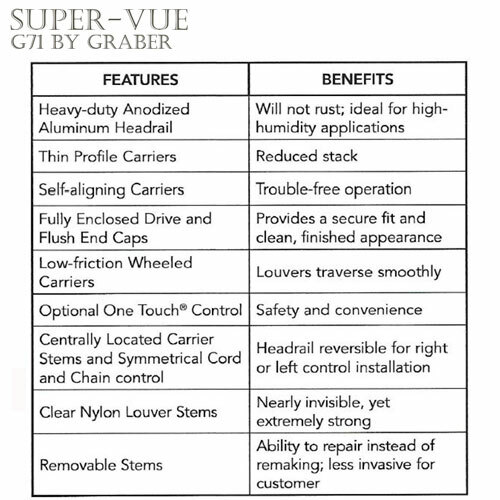 Carriers are made of molded acetyl and traverse on self-lubricated wheels for smooth operation. 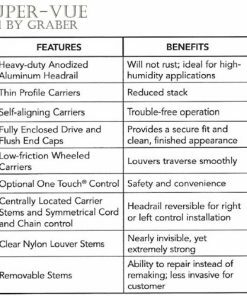 Carriers are centrally located, making the headrail reversible. 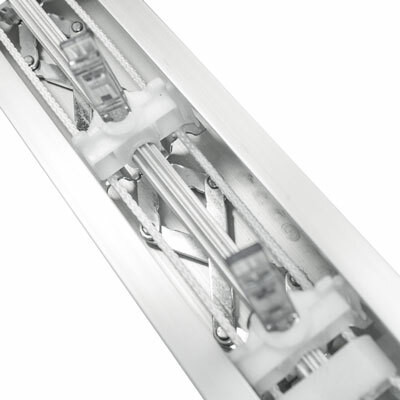 Stems are replaceable without demounting the headrail. 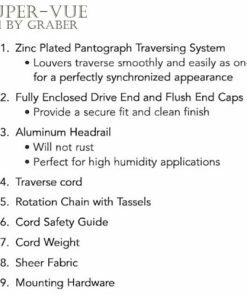 Choice of Cord & Chain or Wand Control with choice of lengths. 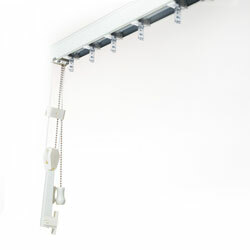 Control Side applies to Cord & Chain ONLY. 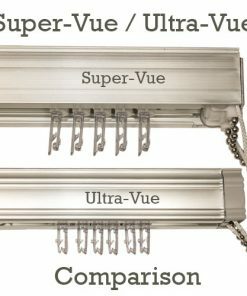 Wand control will be on the same side of Vane Stack Location. 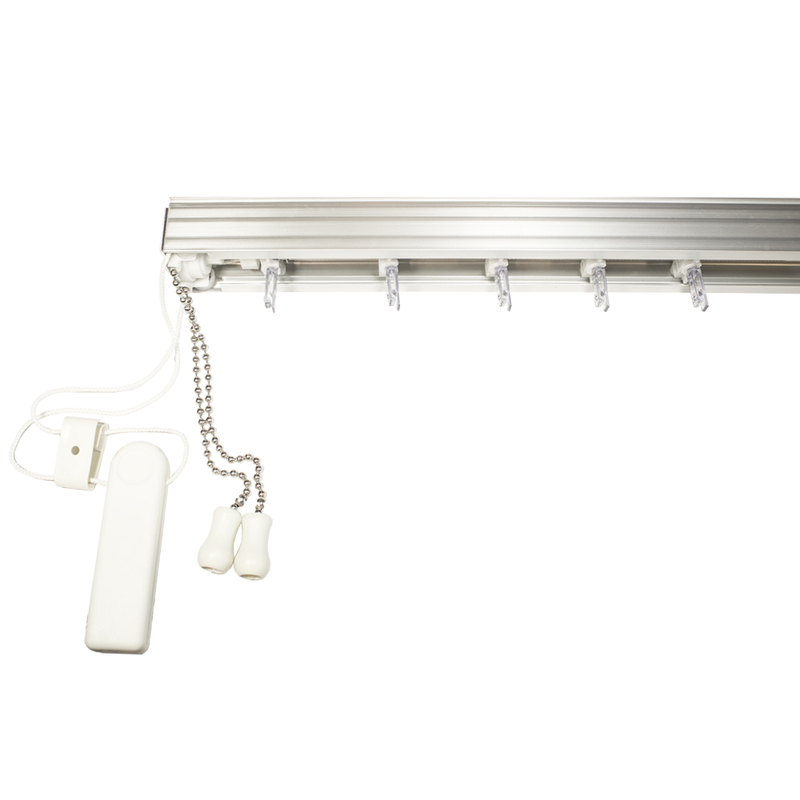 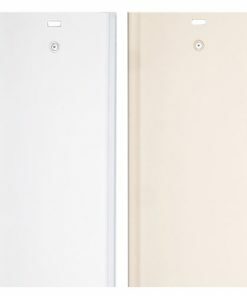 Wand NOT available in Split Stack, or over 120″. 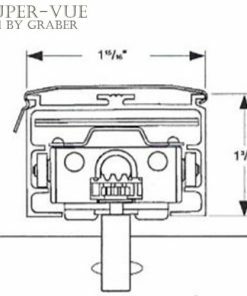 See our Instructions Page for measuring and mounting information.